Welcome to Osprey Cove within The Oaks, GOLF course community. 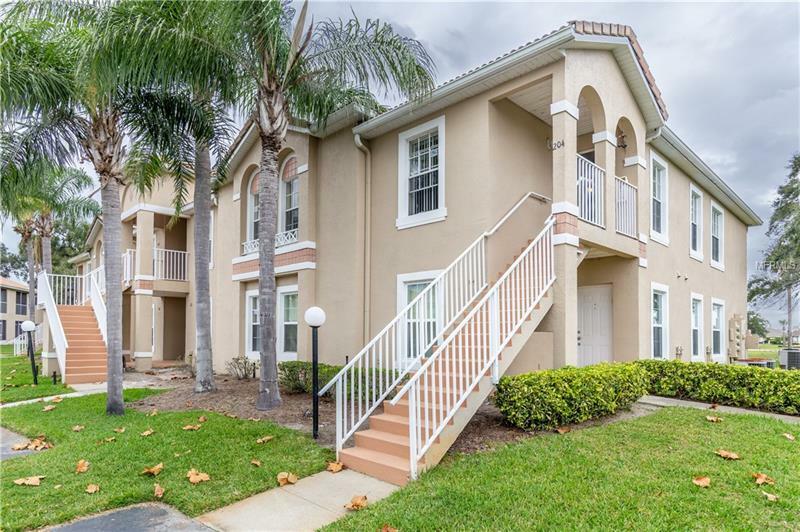 This 3 bedroom, 2 bath home is second story, end unit condo which means more windows for those beautiful sunny days. Overlooks the 2nd hole which is a par 5. Expect to view a lot of golfer entertainment from your private balcony or kitchen windows. Plenty of privacy with the master bedroom and bathroom located at the rear of the home. Remaining two bedrooms and bathroom are at the front of the home. This home is reasonably priced and ready for you to make your own. Must see! Osprey Cove is a beautiful GATED community with a community POOL and low monthly fees. TENNIS courts and GOLF club are only a short walk away. It's a great location with shopping and restaurants nearby. Very close to all attractions such as Walt Disney World and Universal Orlando! Call your agent today to schedule an appointment! Pet Restrictions: See HOA docs for pet details.